The child was not hurt throughout the incident. Meanwhile the suspect, 19-year-old Kody Rasmussen, faces a number of criminal charges. FLINT, Texas — The Smith County Sheriff's Office is investigating an alleged kidnapping that happened in Flint. 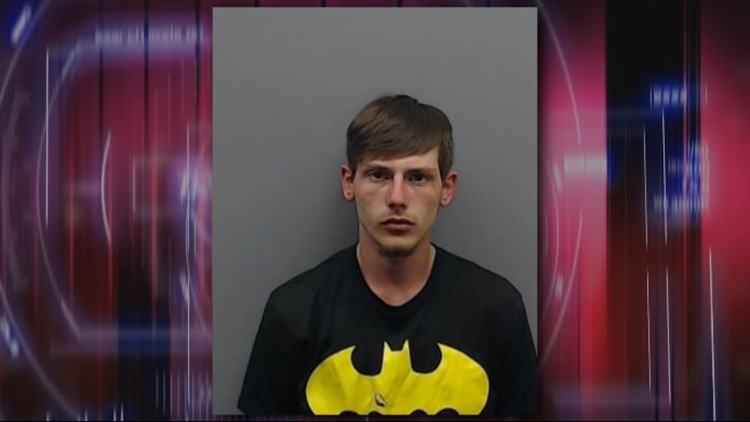 The Smith County Sheriff's Office says a female caller told deputies 19-year-old Kody Rasmussen forced his way into her home at the 1700 block of County Road 1182 at around 12:38 a.m. According to the Smith County Sheriff's Office, Rasmussen assaulted the woman and took the child from the home. A DPS trooper pursued the suspect's vehicle before before the vehicle crashed at the intersection of County Road 1170 and Lakeway Harbor Drive. Rasmussen allegedly fled on foot but was quickly arrested by the trooper. The child was recovered and was unharmed. Rasmussen is charged with kidnapping, evasion, burglary and driving without a license or insurance. His bond was set at $120,561.